Ladies and gentlebeings...miscreants of all ages! 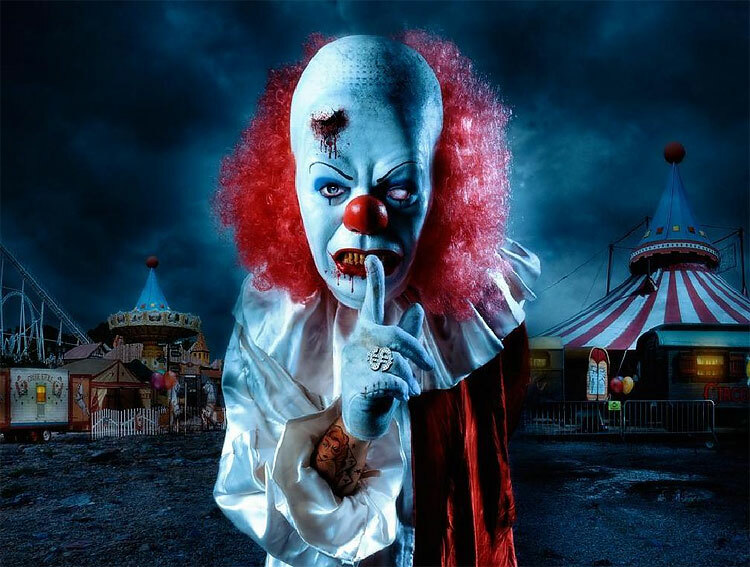 Join us under the Worm Top as I take a look at one of the most sublimely creepy phenomena of our time in the new edition of the Wormwood Files...PHANTOM CLOWNS! If you're freaked out by silent characters with facepaint and big shoes, you might want to avoid this one. In the last few decades, there has been an explosion of reports of mysterious clowns up to no good all across Western civilization. Many times these fearful funsters are in the vicinity of young children and their appearance sets off a panic. Boston, London, Chicago, Kansas City...all these cities have fallen prey to the creepy clown scourge. What's behind the multitude of reports? Is it just mass hysteria? Or is someone or something playing games with us? Join me as I search for answers in this article! The fun continues with this week's edition of the Torture Chamber. You can tell by the names of these bands that they'd be as great at kids' parties as some of the clowns we talk about above! CHROME DIVISION "Infernal Rock Eternal"